Do you have a customer waiting area? 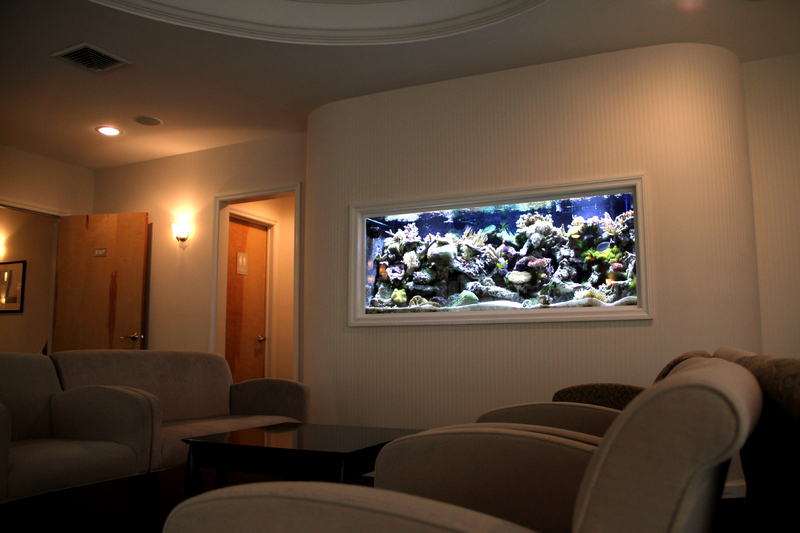 Would you like to promote tranquility and beauty in your office? We can help! Customers can get anxious waiting for appointments or meetings. Our tanks will help to ease their anxiety by giving them something beautiful to watch and pass the time. Not to mention, many studies have shown that spending time looking at a fish tank can be used to aid in the treatment of high blood pressure, childhood learning and developmental disabilities, and even Alzheimer’s. One study showed that aquariums increased the nutritional intake of Alzheimer’s patients. There was also a noticeable decrease in aggressive behavior, as well as anecdotal evidence that fish tank exposure stimulates short-term memory. Or any other business that is looking to add that "something extra" for their customers!